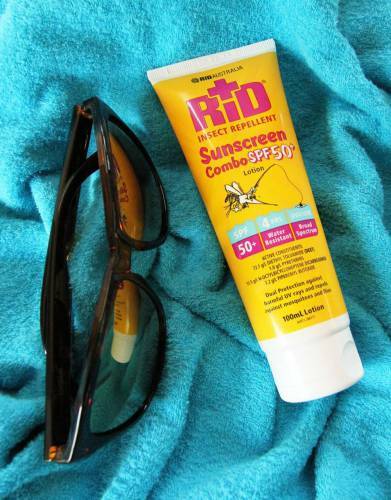 Convenience now comes in RID™'s new dual protection sunscreen SPF50+. It’s the perfect combination for your outdoor needs. As we are not able to ship our SafariSUN™ sunscreen to the US due to restrictions on aerosols, this lotion is perfect for US clients who are after a sunscreen and insect repellent solution. • With respect to certain plastics, DEET has been known to adversely react. However, that is normally in higher concentrations. We recommend exercising care around plastics. Choice Magazine conducted independent tests on 15 leading insect repellent brands to test the efficacy and duration of protection as stated on their packaging. These tests were performed four times per product on a group of men and women aged between 18 and 70, with readings taken at intervals between 15 minutes and three hours after application. RID™ ranked highest with an impressive 98% score and a recommendation for excellent protection. Apply to the skin in generous amounts over all of the exposed areas 20 minutes before sun exposure. It should be re-applied every four hours or more often when sweating and should be re-applied after swimming or towelling. For external use only. If rash or irritation occurs, discontinue use. If swallowed, seek medical advice. Do not apply to eyes, mouth, or broken skin. Avoid contact with food and food utensils, with spectacle frames, soft plastics, or synthetic fibres, timber fittings, and furniture. Avoid prolonged exposure to the sun. 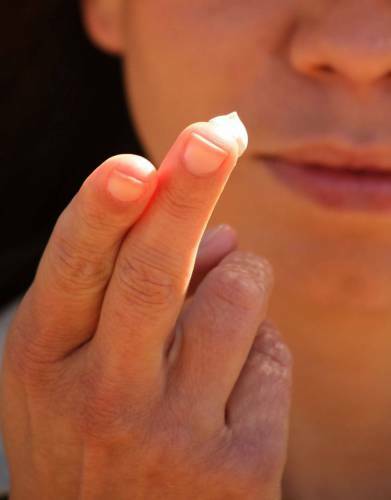 Wear protective clothing, hats, and eyewear when exposed to the sun. Keep out of reach from children. Keep in an upright position in a cool dry place. Store below 30 degrees Celsius in closed original container. 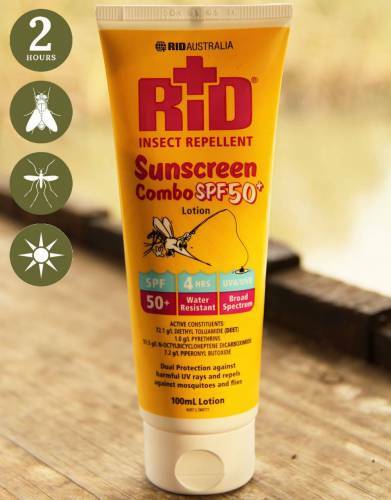 RID™ repellent contains DEET which is a plasticiser. Officially therefore, the bottles carry a warning against spraying RID™ on to synthetic fabrics. 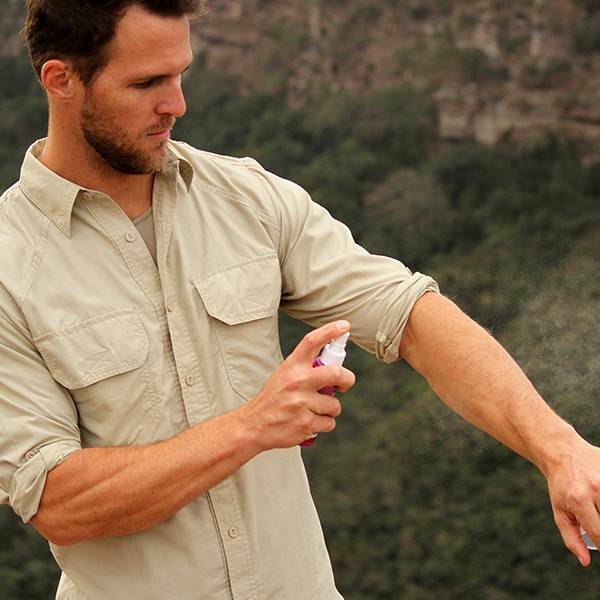 In our experience with the product, and due to the low levels of DEET, we do spray RID™ on to our Rufiji™ clothing and to date have had no damage to our clothes whatsoever. Having said that, you should use your common sense. For example, if you are wearing an expensive shirt or one which is made from sensitive fabric, it may be best not to spray RID™ on to the clothes. For all clothing, we suggest that you try spraying a little RID™ on to the hem (or an area that will not matter should RID™ cause any damage) to test whether damage will occur. Please pack RID™ as you would any other toiletries. When you pack RID™ and your toiletries you should always try and remove excess air from the bottle, tighten the lid as much as you can, and pack into a zip-lock type bag. Cabin pressure and rough handling of your luggage by airport staff may result in your toiletries leaking and the same is true for RID™. 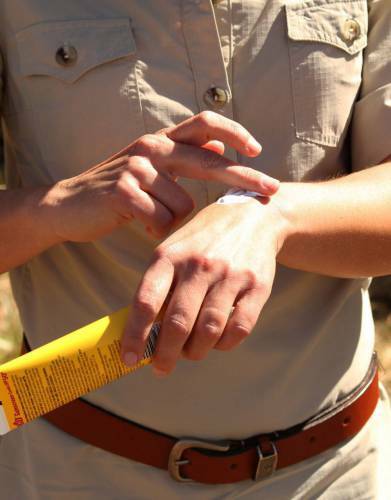 ⊙ AVOID BEING BITTEN: If you are travelling to a malaria area, you will need to take insect repellent as one of the precautions against being bitten (and bite relief in case any other flying insects bite you). The best way to avoid malaria and insect bites is to cover up in the evenings and use insect repellent. In some areas of the world, you may also find that flying and biting insects are active throughout the day. This is where applying a high-quality insect repellent that works is very important. ⊙ THE MORE DEET THE BETTER? : This is simply not true. We have to be honest and say that, for a year or so, we believed that this was true - until we discovered and tested RID™ repellent, that is. The Australian scientists who created RID™ have debunked the "more DEET the better" myth bandied about by most insect repellent manufacturers (usually for marketing purposes). The makers of RID™ have proven through extensive tests that the effectiveness of the insect repellent does not increase once the level of DEET rises above 20%. What does increase is how long the product lasts on the skin. A standard 20% DEET repellent will usually last 4 to 5 hours. 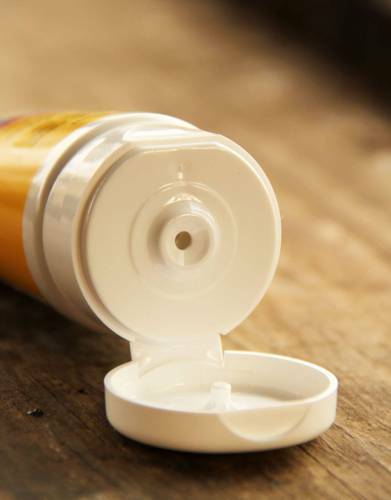 DEET at high concentrations is highly corrosive to your precious camera gear and binoculars - and to your skin! The World Health Organisation and most medical authorities recommend that DEET products be below 50% as levels higher than this are known to cause severe skin irritation. The sunscreen and insect repellent combo has a 7% DEET active constituent, offering protection from mosquitoes and flies for up to two hours. ⊙ KIDS & SENSITIVE SKIN: It is recommended that DEET products for children and infants be a maximum of 7% (which is the level of the Kids RID™ product and this sunscreen combo). Having said that, in more than half a century of RID™'s history, they have not received any complaints regarding skin irritation across their range and Kids RID™ is the only product specifically available for children. ⊙ WHY IS RID™ SO EFFECTIVE? : The success of RID™ insect repellent lies within the formula. Invented in the paddocks of tropical Queensland, RID™ has been perfected since it was initially released in 1956. The active ingredients in RID™ produce an invisible chemical barrier around and on the body and clothes on to which it is applied, repelling incoming insects. RID™ will protect you from all biting bugs (mosquitoes, sand flies, midges, ticks, fleas, and even tsetse flies), mosquito-borne diseases, and those pesky flies, ants and leeches, just as it has been doing for more than 50 years. RID™ also contains two additional repellents, including a fly repellent, that other insect repellents do not include in their formulae. Furthermore, RID™ contains antiseptic to kill a wide range of bacteria (introduced by the insect bite or by scratching the area around the bite) which helps stop the spread of infection. The range is medicated too and contains vitamin E for moisturising, chamomile for its soothing relief, and Triclosan (an anti-bacterial/inflammatory agent). ⊙ HOW LONG DOES RID™ LAST? 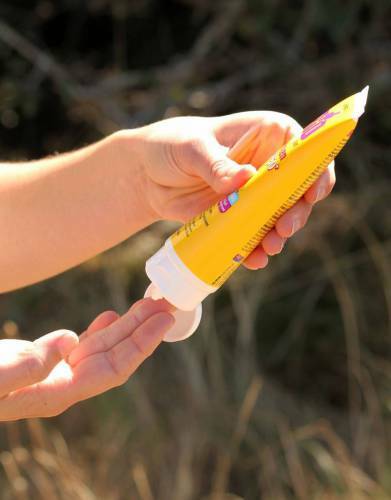 : The shelf life of the RID™ insect repellent and sunscreen combo is three years. Rather take an extra bottle with you than run the risk of running out while in areas with biting insects. ⊙ THE RID™ STORY: RID™ began where all insect repellents should begin: not in a sterile laboratory, but in a swamp! Founder Doug Thorley started with the intention to create "an insect repellent that's pleasant to wear, soothing to the skin, and medicated for existing bites." To realise his dream, he researched with obsessive determination; he tested night after night for years. It was reported to the Brisbane police that a strange man was in the swamp with a dog. Doug was the original human guinea pig: standing in those murky waters being eaten alive night after night, taking notes, testing new lotions, until finally the formula was perfected. He wouldn't market anything if it hadn’t been tested on his skin first. His product was DEET-based - a chemical used by American soldiers in the Pacific during World War II. It worked extremely well but had an offensive odour. His kitchen research, with his wife's cosmetic cream, finally paid off. After more than 3,000 hours testing in the field, he was ready to sell a product that repelled insects, but with a pleasant scent. From day one in 1956, it was a hit. Soon, RID™ was being invited to picnics, beaches, barbeques, and outdoor adventures across the country. The familiar purple-magenta packs could be found in handbags and medicine cabinets everywhere. It would seem that Doug Thorley shared the notion of "Expedition Tested™" with The Safari Store a long time before our founder was even born. We believe it was Doug's hands-on, field-tested approach which has meant that no other insect repellent since RID™ has even come close to offering the same high level of efficacy against biting insects. We won't use any other repellent - and believe that you shouldn't either. 3. RID™ had not been removed from your skin by sweating or towelling down. Our interest is sincere. The findings so far on RID™ have been very positive but, given the number of species and varying conditions, we have to be realistic and accept that RID™ may not work in all conditions and for all species. It would, perhaps, be fair to state that the only 100% protection from the tsetse fly would be to go on safari in a bee keeper's suit. Along with burning dung and using smoke pots in the Land Rover while on safari (neither of which provide 100% protection), this is simply not practical. As a result, our research into RID™ vs the tsetse fly continues. Please ensure that you do not pack dark blue or black clothing as these colours are thought to attract the flies and their bites are painful. 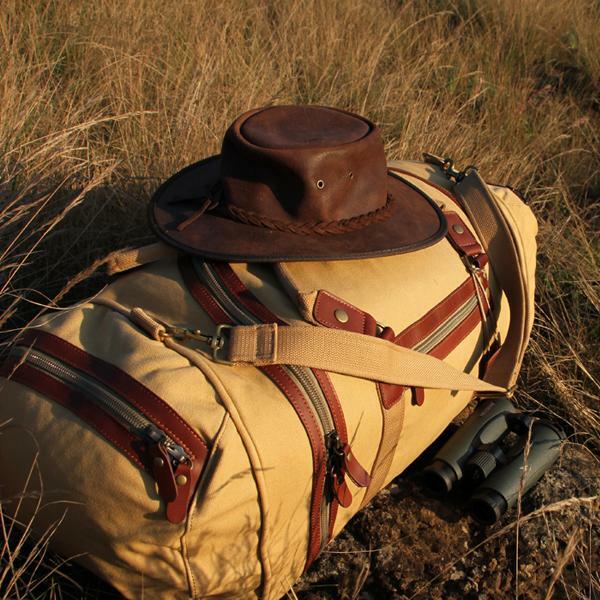 The Rufiji™ safari clothing range is all the ideal colour and RID™ is the only repellent proven to work against these flies which carry sleeping sickness and have a painful bite. ⊙ FOR MAXIMUM PROTECTION: Combine RID™ with our BUGTech™ range of clothing. Amazing! Took RID with me on my trip to Montevideo and it worked like a charm! I'm normally mosquito kibble, but not a single bite. Even watched one appear, go "urgh!" and fly off in another direction. Smell isn't over-powering and I won't travel without RID in future. RID really did work and I definitely didn't get munched by Mosquitoes or Tsetse flies in Mana Pools (there were MILLIONS of them!). RID: the most amazing anti bug spray ever! Would never leave home without a bottle of this stuff, unbelievable. Regarding the RID. It is a yes yes yes from me. We all used it and while they pestered us quite a bit we did not get bitten where it was sprayed. I ended up spraying a lot on my shirts and shorts so we recommend it for anyone going to tsetse infested areas. No other spray keeps the bugs away quite as well as Rid. I take it on every trip without fail. It’s easy to apply, the bottle is a handy size to throw into a day pack, and it holds the perfect amount for one person on a two week trip. The mosquitos in the areas where we travel can often carry some very dangerous diseases, so as well as preventing painful and itchy stings, it protects my health as well. 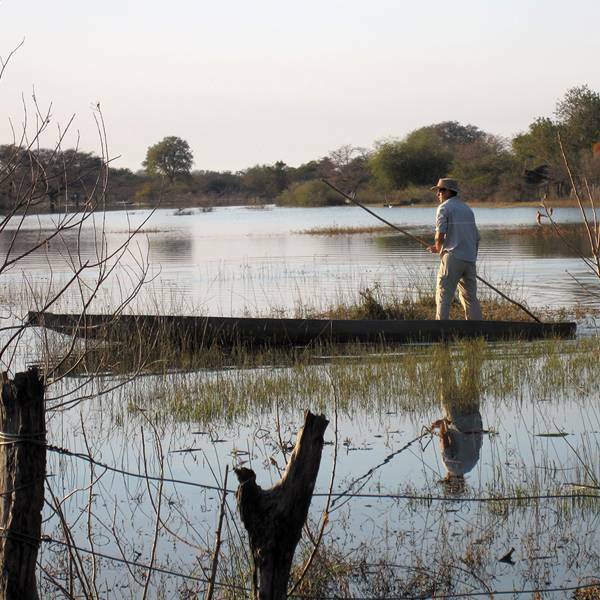 Rid is fantastic, I have used it for years in Botswana if anywhere near Tsetse flies. It does not seem to have had any effect on my children (as yet) and it works for mozzies too.